The Club meets in the 2nd and 4th Tuesdays for luncheon, conversation, and a program, usually a guest speaker. It has other occasional social gatherings. These social events serve to bring together community leaders who might not otherwise come to know one another. Currently, the meetings are at Bistro 63 at the Monkey Bar, 63 N Pleasant St., from 12:15 until 1:30 pm. Guests are welcome at a charge of $14. 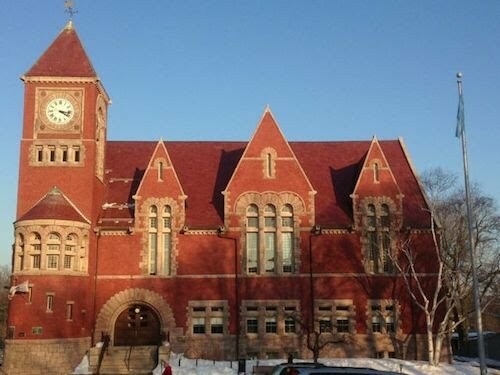 Lunches are canceled due to snow when Amherst schools are closed. 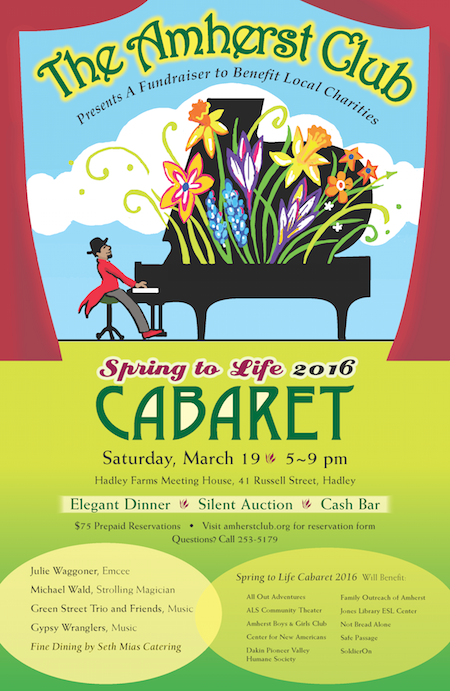 The "Spring to Life" Cabaret is our major annual benefit event. We also maintain an endowment fund, which, beginning in 2015, in partnership with the Amherst Amherst Boys' and Girls' Club, grants Youth Community Service Awards to local school students. • The Amherst Club welcomes diversity among its members, and encourages civic-minded men and women living or working in the greater Amherst area to join. Members attend weekly luncheon meetings and demonstrate their concern for the community by devoting time and effort to the Club’s endeavors. Especially important is working on the Club’s annual fundraiser. • Membership inquiries are welcome. Applications for membership are reviewed for approval by the Membership Committee and the Board of Directors.